Prefold Diapers still require cloth diaper folding - which might be a tad confusing for some, since they are called 'pre-FOLDS'. 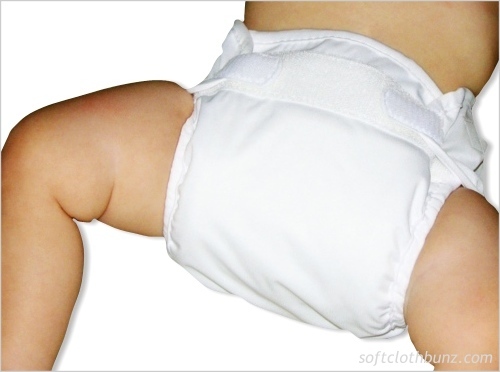 Simply put, prefold diapers, are sewn in pre-folded, multiple-layered panels of absorbent cotton or hemp fabric. These panels have maximum absorbency right down the center panel, with lesser thickness in the side panels. Prefold diapers still need to be folded, though not as elaborately as they would if they were still large, flat, single-layered cloth diapers without sewn-in panels. Cloth Diaper Folding is not difficult. We offer a variety of folding techniques, but most of our clients master a favorite fold and use it on a daily basis - not bothering to use any of the others. Below we offer step-by-step directions with images, so feel free to bookmark this page, as well as the others, to refer back to when needed. 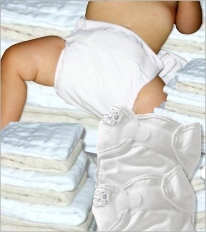 Easily one of the most popular ways to fold prefold diapers, the Angel Fold (a.k.a. 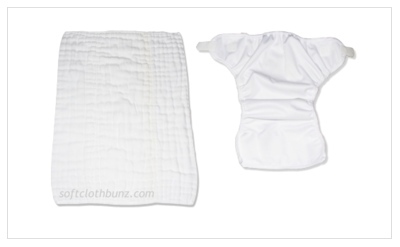 the Angel Wrap), is a versatile cloth diaper folding technique that works most efficiently with cloth diaper wraps. 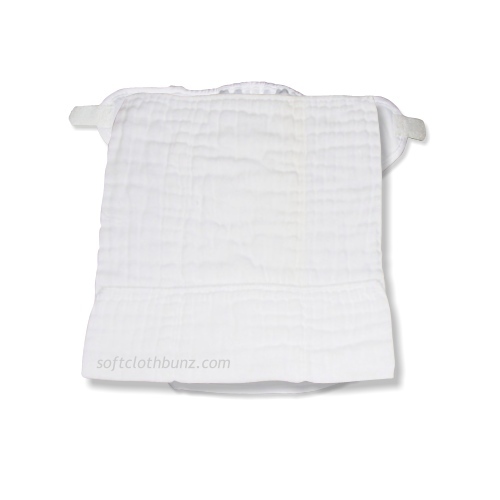 The Angel Fold provides full coverage to contain the messiest of baby's diapers, while maintaining a comfortable fit. The following fold uses a Chinese Prefold Diaper and a Bummis Super Whisper Wrap. 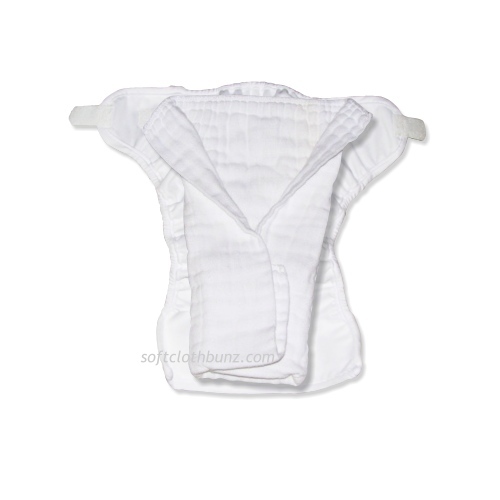 This cloth diaper fold can be used with a pull-on diaper cover like the Bummis Whisper Pant, but the 'wings' that wrap around baby's waist from back to front will need to be secured with diaper pins or a diaper fastener to hold the prefold diaper in place. 1. 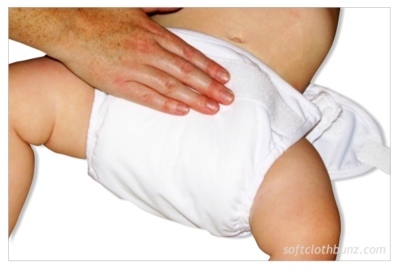 Using one prefold diaper and one cloth diaper cover of your choice, lay your prefold diaper flat in front of you with serged ends at the top and bottom. 2. 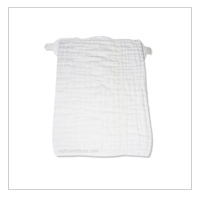 If folding into a wrap-style diaper cover, place the prefold diaper atop the diaper cover lengthwise. Again, ensure the serged edges are at the top and the bottom. Then, fold the bottom serged-edge of the prefold diaper up towards the top serged edge of the cloth diaper (about 1/3 the length of the prefold diaper). 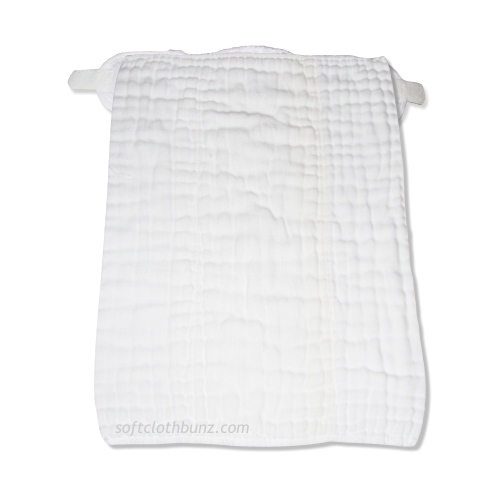 If using a cloth diaper doubler for extra absorption, lay it along the center panel of the prefold diaper lengthwise BEFORE folding the bottom serged-end of the prefold diaper up. 3. Next, you will create a 'V' shape with the prefold diaper by pulling the already folded bottom, left corner to the middle (center panel), and then repeating it again on the opposite side. 4. If using a stay dry liner, or a fleece topped diaper doubler, this is when you will put it in - lay it lengthwise atop the folded 'V'. 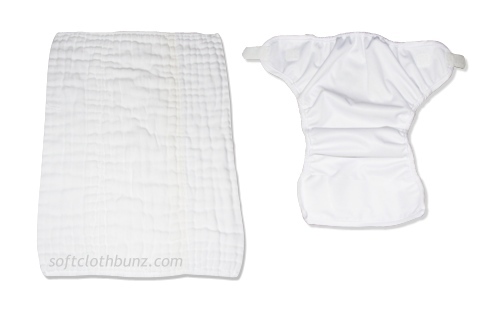 If you place it within the 'V' (as when you placed the diaper doubler), it will not be able to wick moisture away from baby's skin as it will be underneath, not atop, the layered cotton 'V'. 5. 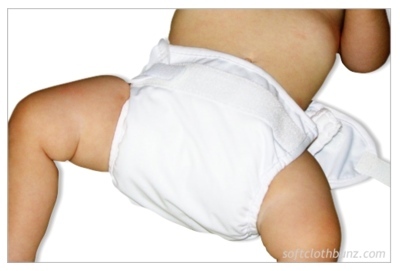 Lay baby atop the prefold diaper so that the top serged edge is horizontal to baby's back waistline. 6. 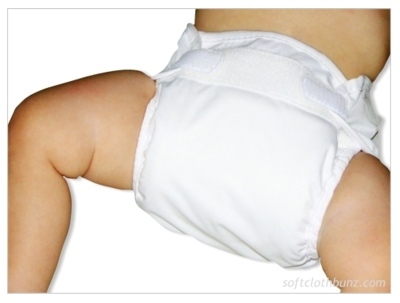 Bring the folded portion of the prefold diaper up between baby's legs. At this time, you can adjust the rise (length from back waistline to front waistline) by letting out some of the fold in front. Please note: Some of our customers have shared with us that they prefer wrapping the back wings around to the front and fastening them with diaper pins or a Snappi at this point. THIS IS NOT NECESSARY with a wrap-style diaper cover, but it certainly is another way to ensure the diaper stays snug around baby's legs to add extra protection against leaks. 7. 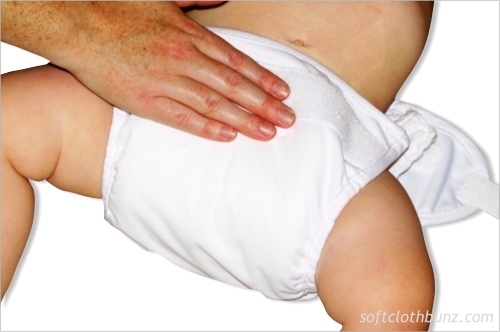 After the prefold diaper is adjusted for baby in the rise, bring the front of the cloth diaper wrap up between baby's legs. The diaper cover should extend beyond the prefold at the waist to keep moisture from seeping out to the waistline of baby's clothes. 8. 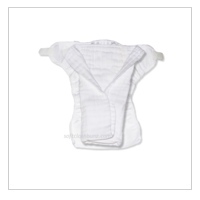 Finally, secure the tabs by wrapping the diaper cover's back left and right 'wings' around to the front velcro panel. Very simple. Very secure. 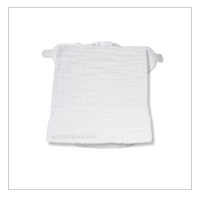 This cloth diaper fold is not just to be used with a wrap-style cloth diaper cover; it can be used with ANY diaper cover. Instead of starting by laying it within the wrap-style cover, start the cloth diaper fold on the diaper changing table and proceed. 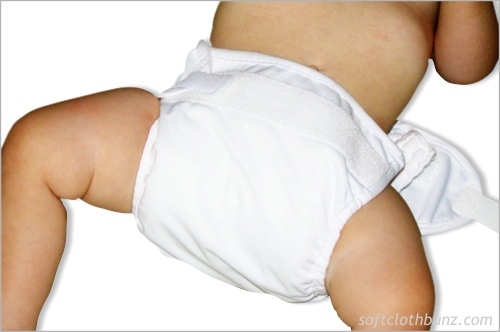 Then, once the diaper is fastened with diaper pins or a Snappi Diaper Fastener, pull-on or snap-on any style diaper cover you choose. If you want a really easy fold, don't fold at all! Learn "How To Put on a Fitted Diaper with a Pull-On Diaper Cover"
Prefold Diapers easily fit into a variety of cloth diaper folding techniques. 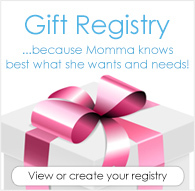 If you're confused about which one is best for you and your baby, please feel free to contact us with your questions.